This is teenage fiction at its most engaging with a crisp, fast moving narrative and with stylish dialogue that evokes the world of London's strife-ridden inner city estates that is the story's setting. 15-year-old Goldie and her mixed race family are devastated when circumstances force them to move from their friendly neighbourhood to a council estate dominated by two rival gangs, split along race lines. 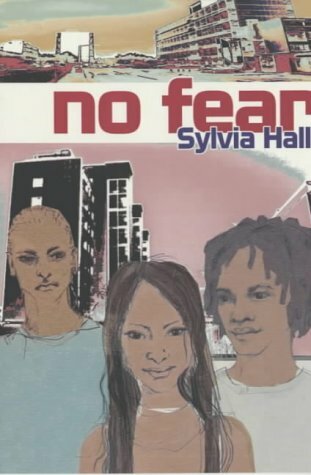 Goldie, in spite of her best efforts, is sucked into their world of hatred and bigotry but sees her membership of the new multiracial band 'No Fear' (with her heart throb Josh as lead guitarist) as a way out. In the meantime she witnesses a stabbing and has to face some tough moral dilemmas. The various strands of the plot are expertlly interwoven and are finally resolved in a stirring climax, which provides however no safe haven for complacency or sentimentality regarding race issues. Only a few minor incongruities in the use of otherwise convincing dialogue, and discernible only by close scrutiny of the text, hint that Sylvia Hall is in fact a pseudonym used by an American author - though the book's absence of any biographical blurb does fuel speculation regarding authorship. Anyway, this barely detracts from the novel, and her foray into British fiction, by whatever name, should only be encouraged.